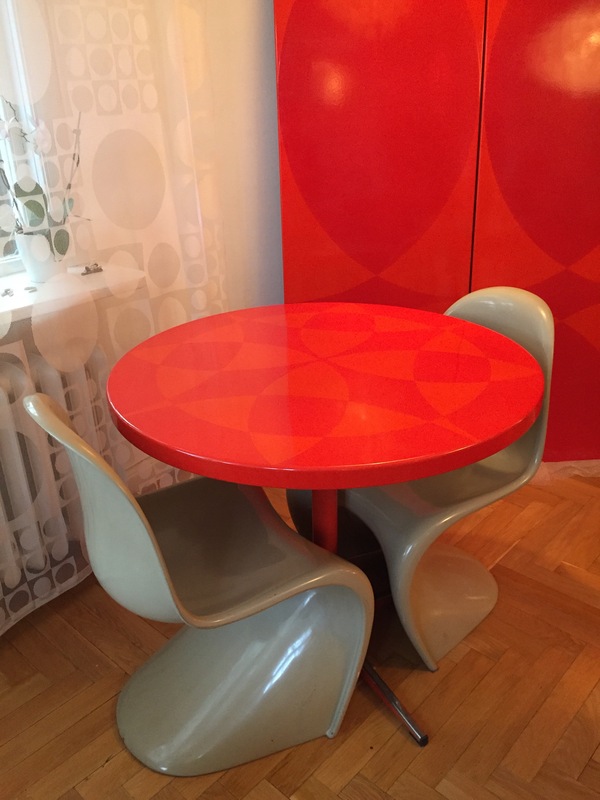 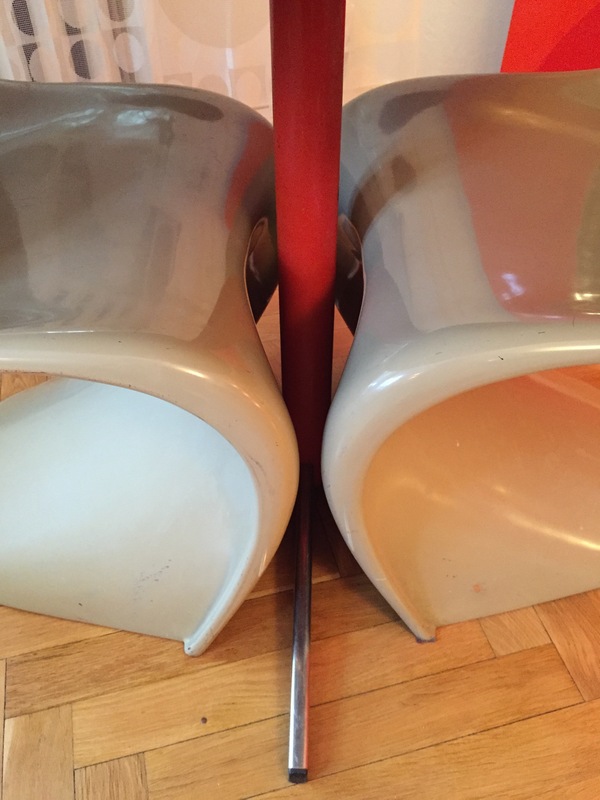 It is not easy to find any tables that were designed for the Panton Chairs. 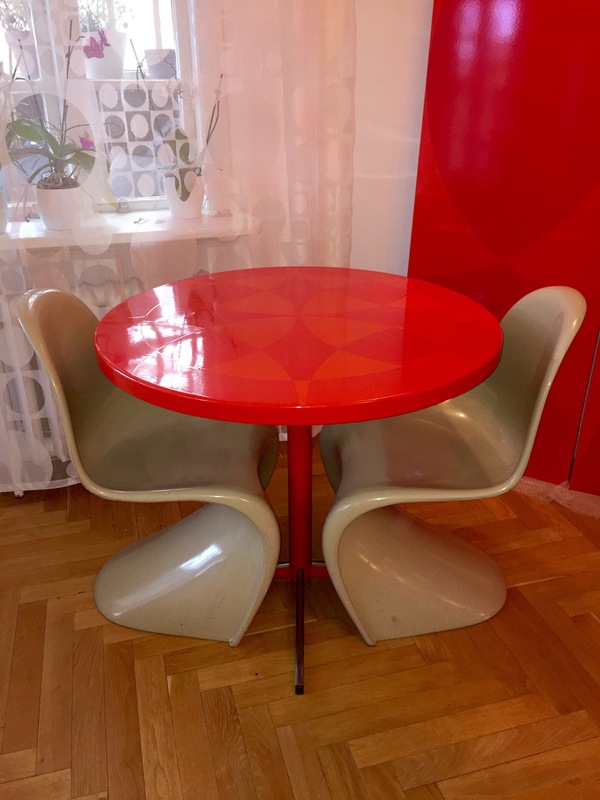 Only one red and one black table were made as prototypes in the 70:ies but Verner also made some enamel tables for the Varna restaurant and the Salon Rouge cantine that were designed to go with the Panton Chair. 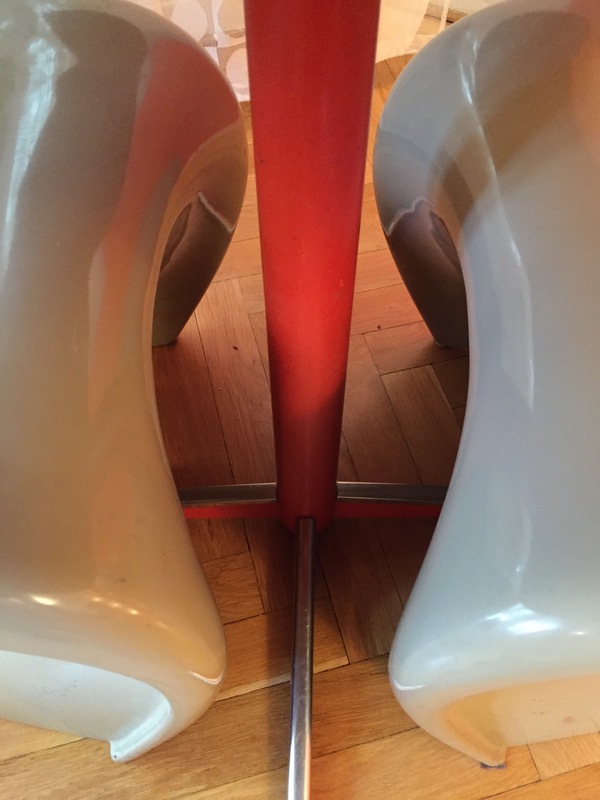 This table is from the Salon Rouge and the x-foot makes it possible to put a pair of chairs close to the center of the table. 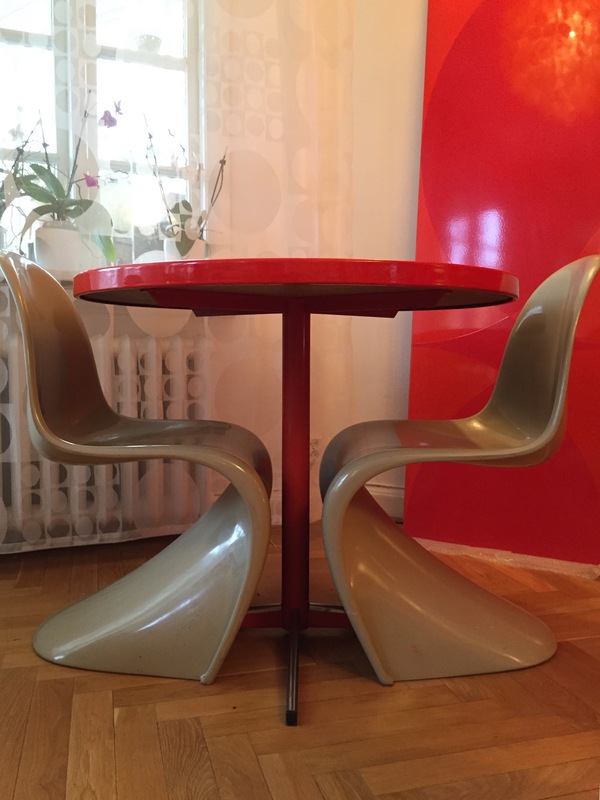 The original Panton Chairs in the Salon Rouge was red so I guess I need to find a pair in red.